Clear all jellies and reach 1300000 points to complete the level. This level have normal difficulty and you need to use good trick to complete this level. For this level you should try to first break the egg and then blockers. After use jellies plus the special candies to break the jellies if you can balance the Odus owl. 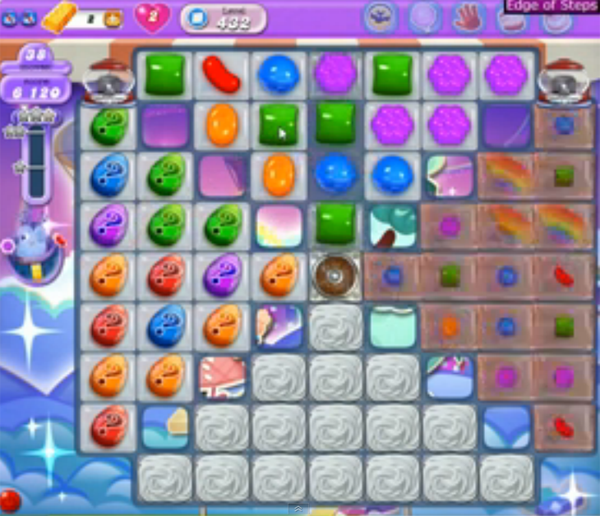 Or try to make special candies and use them in moonstruck that you will get after the 30 and 10 moves remaining.